Just what’s going on in the world today? What’s with all this strife, conflict and war around the globe? For a while now, I have been avoiding watching the news but I can hardly turn a blind eye to what’s happening right now in places like Gaza and the Ukraine. It breaks my heart to see all this anguish and sorrow happening around us. When will we ever learn!? “There must be people who remember World War II and the Holocaust who can help us get out of this rut” – Martin Scorsese. 1. 6 Key Lessons in Life from a 140 year old man. 2. Mother Teresa on Loneliness, Love and Peace. Then recently, with almost divine intervention, amidst all my anguish and hopelessness I met Eva Schloss. I had the real privilege and honour to meet Eva Schloss recently at a book reading event in Waterstones bookstore in Hampstead Village. It was a life-changing event and got me reconnected to what’s really important to me and also what truly matters in life. It was a surreal evening as I then discovered that Eva and I are neighbours, and we literally live around the corner from each other! A couple of weeks ago, I invited Eva to my home for tea – and also to share her wisdom and views on peace and life for my blog readers. Eva Schloss has an incredible story. She was arrested in Amsterdam by the Nazis on her 15th birthday and sent to Auschwitz. Thanks to incredible luck, her own determination and the love and protection of her mother Fritzi, Eva somehow survived Auschwitz. After the war, Eva and her mother returned home to Amsterdam – alas only to learn that both her father and brother had been killed during the war. Before the war, Eva had been friends with Anne Frank, who went on to change the world through the legacy of her diary. Though their fates were very different, Eva’s life became entwined with her friend’s for ever more, after her mother Fritzi married Otto Frank, Anne’s father. Eva subsequently kept quiet for many decades about her holocaust experience, but in recent years she is on mission to spread her message of peace and reconciliation. She has published a number of books and her most recent book is “After Auschwitz” (Amazon UK / Amazon USA) , which is a searingly honest account of how an ordinary person survived the Holocaust. It is also a heart-breaking, exploration of what happened next and Eva’s struggle to live with herself after the war. Meeting Eva in my own home again was a rather surreal experience to say the least! At that time I was still recovering from taking part in the London to Brighton bike ride in memory of my late cousin Harish Devalia who passed away in December last year after a heart attack. The bike ride went really well except that 20 yards from the finish line, I fell off the bike after trying to high-five some children on the side of the finish line! Somehow, my bike somersaulted and I head-banged the ground. Apart from serious calf bruising, I also suffered bruised/ fractured ribs. So when I met up with Eva, I was in a lot of pain and feeling rather sorry for myself. And then as soon as she started sharing more about her life and her holocaust journey, I had a reality check. Here was this amazing and inspirational human being who had survived the worst atrocities mankind is capable of and I was whining about some bruising. On that note, what are YOU whining about in your life right now? Eva is so down to earth and humble – and for me, that adds to her greatness and charm. Last week, on Nelson Mandela Day 18th July), she invited me as her guest to a very special event to mark the legacy of my all-time hero Mr Mandela. (WHO are you to not let your light shine!?). The event, organised by Nic Careem was an incredible and moving tribute to Mr Mandela and will go down in my life as another memorable and life-changing experience. When we arrived at the venue, the iconic RoundHouse in Campden, there were all these paparazzi lined up at the main entrance. Yet, Eva, another friend and I were ushered in via a side door. It amused me and also bothered me that here I was with the most inspirational human-being I have met in my lifetime – and hardly anyone even knew her! If only the world knew what this woman had been through and what the mission for the rest of her life was! And once we were inside, Eva was again not noticed by any of the camera crew who were interviewing “celebrities”. It then turned out that Kate is a big fan and knew all about Eva and her life – and there might be some future synergies in her acting work. There are no coincidences in life:-). As you can tell, I am on a mission to get Eva an her message of peace into the world! And this is where I begin – Eva was very kind to share her life lessons for today’s world and this is what she had to say. 1. 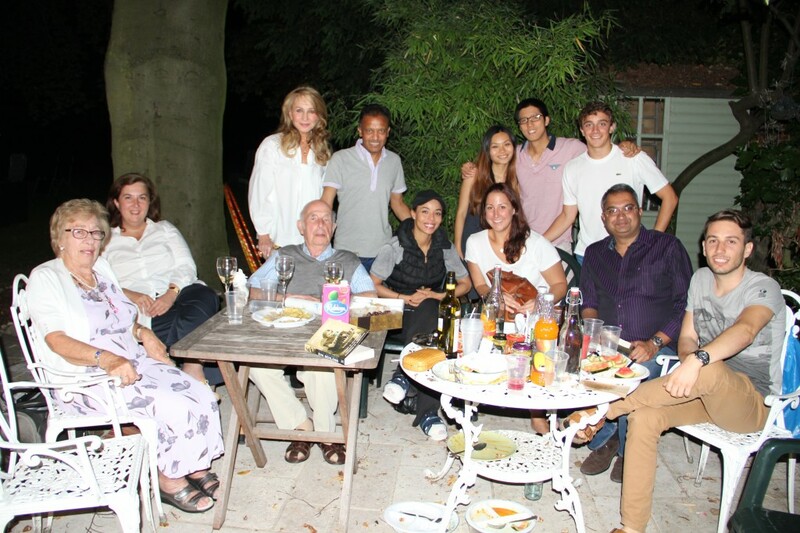 Eva, thanks for joining me and for this wonderful opportunity to learn from you about life, love and peace. What do you think is the biggest challenge we face today in the world? The biggest challenge the world faces today is the lack of acceptance. Sadly terrible atrocities are still happening now and we just have to look around at the news today to see what’s happening in the Middle East and elsewhere. We simply need to accept each other for who we are. For instance, at the end of the day, what’s the difference between Shia and Sunni Muslims? There is actually very little difference except their interpretation of their faith. We are all just one people and it’s high time we realised we are all one. We preach tolerance but we are not tolerant towards each other. If we have no trust of each other, then where do we begin? How do we even begin to negotiate? Even soldiers involved in the many wars around the world are so traumatised. What’s the point of all this fighting? 2. What would you advise people today on an individual basis? Life is so precious! Today I see people wasting their lives away and not doing their best. And it’s such waste. Having been through the type of experiences I have, one learns to know what’s truly important in life. People don’t look after themselves today – which is why obesity is such a huge challenge nowadays. People are mostly greedy and it’s all about me, me, me. Plus the drinking culture does not help. There is more to life than getting drunk at weekends! So look after yourself to the best of your ability. Remember the sacredness and value of your life. 3. What about the younger generation today? What are your thoughts and suggestions for them? Nowadays, I see children spending so much of their time on computers and video games. Movies nowadays are mostly violent, as are videos. Kids play games which encourage to see how many people they can kill etc. So inevitably, children think that violence is the normal way. What’s happened to the censorship of movies and news? Also, there are very few role models for children. Footballers shouldn’t be so aggressive – we need stronger referees! In my own family, my grand-children are interested in the holocaust and in my past. A couple of them are following careers which will allow them to make a difference in the world. So it’s not all doom and gloom where the young people today are concerned. With a bit of guidance and mentoring, we can create model citizens for tomorrow. I myself have never watched movies like Schindler’s List as it would be too harrowing for me. But Arvind, I do recommend for you to watch The Pianist, which is about a Polish Jewish musician who struggles to survive the destruction of the Warsaw ghetto of World War II. Also, I did watch Sophie’s Choice many years ago, about a woman forced by the Nazis to choose between her son and her daughter. 4. Apart from your book tours and talks, what else do you do? I have worked in 8 prisons around the UK and shared my experiences of life. We have to remember that most prisoners are not criminals but people who have ended up in prison through either being badly brought up or not being loved by their parents. One prisoner had murdered her husband after being provoked for many years in a violent, abusive relationship. She was very disturbed and could not speak. She had suicidal thoughts but she is now in regular dialogue with me and is getting her life back together again. Ultimately, everyone is “good” but some people are “bad” only through circumstances. How can someone have children and not look after their own child? 5. 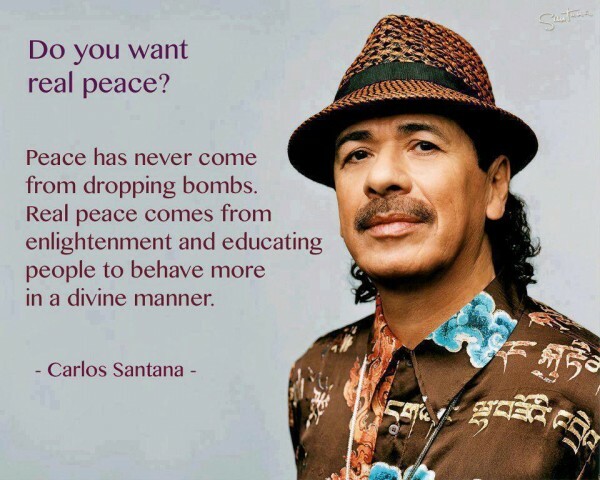 What advise can you give me and on my quest to be a peace activist in the world? Well, your wonderful book “Get the Life you Love” is a good start! Keep doing what you are doing – and write more books and get yourself out there. 6. Finally, you are now only 85 years young! So what’s more for you next? More of the same for me – more talks around the world. Time is so precious and there is so much more to be done by me – and people like you and others. It encourages me to see so many people interested in peace work and making the world a better place. Anyone who wants to know more about my work and my life lessons should read my books – and also check out my interview with Steven Spielberg. 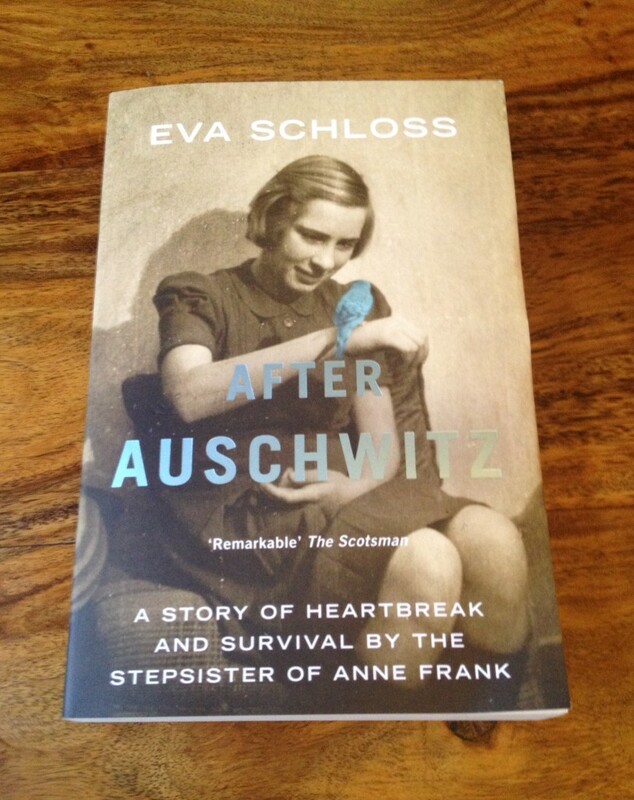 Eva has written 3 books and the most recent one is “After Auschwitz”. Please get your copy today from (Amazon UK / Amazon USA) and support Eva’s quest for Peace in the World. So there you are – some simple but powerful words of peace from an inspirational woman who lived through hell and came through to share her light with the world. Thanks Eva for your time and ongoing inspiration! 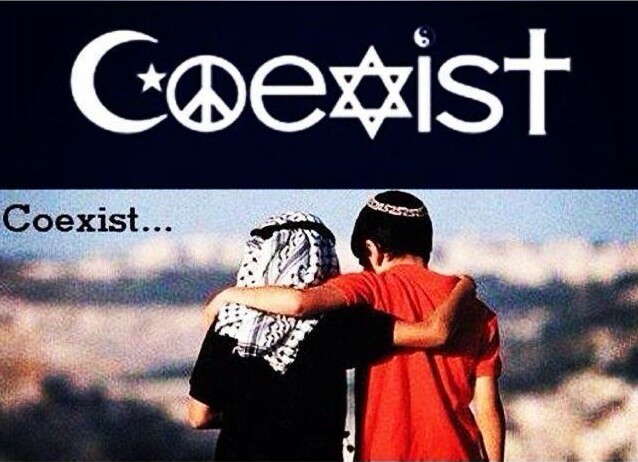 What’s really present for me right now is that it’s high time that ALL of us took a stand for a peaceful world. This is such an amazing inspirational body of work. You write and share so beautifully, with messages, stories, journeys and people. This is so needed in times so turbulent and changing. Thanks Arvind, keep being the beckon of light, love and peace you are. Remarkable story! Eva Schloss is truly a inspirational, amazing and an exceptional woman!!! My father was a POW (Prisoner of War) from World War II in Germany and growing up I also heard many stories from him about his experiences during the war. One thing that my father always said, “War is just the killing of human lives for control & power and this is wrong.” Words of wisdom “Let peace in the World begin with me and you.” I also have my own quest in life but to make this World a better place is number one on my list!